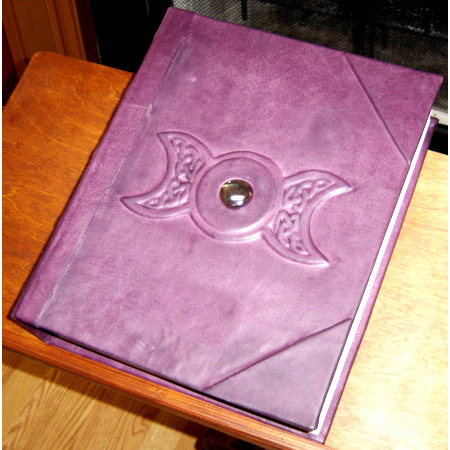 Celtic Moon Wiccan Book of Shadows - Personalized Family Heirloom. 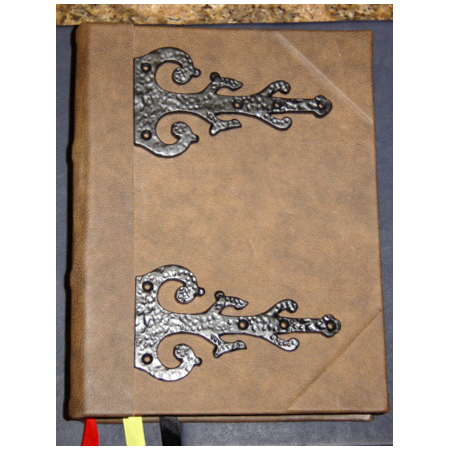 This is just a short list of information you will find in this book. And there is much more. 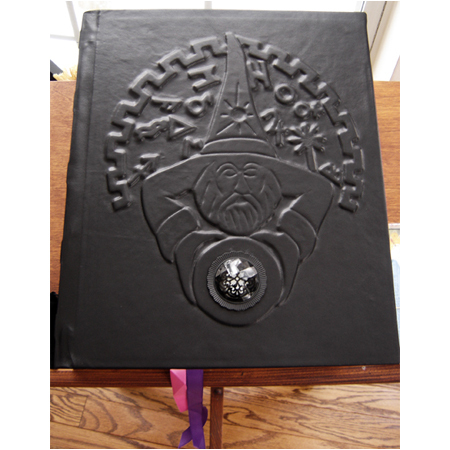 This Book has everything a Wiccan Witch or Wizard need to practice Wicca and Witchcraft. 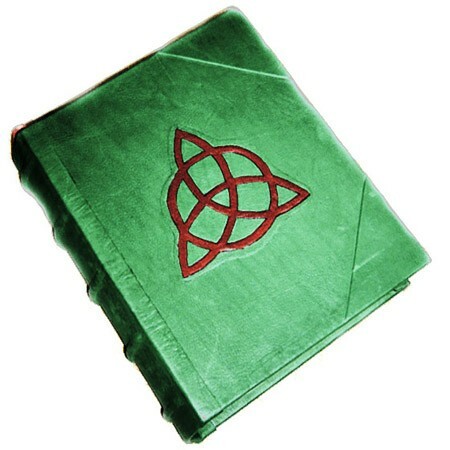 Celtic Moon Wiccan Book of Shadows. Celtic Moon Wiccan Book of Shadows is an inspiration from havens. 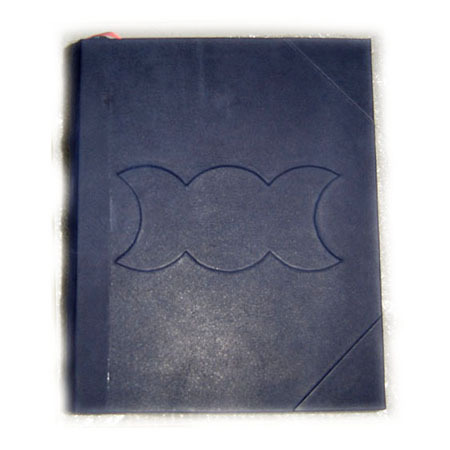 Look up into the sky one night and see a bright, glowing moon above you, smiling down. 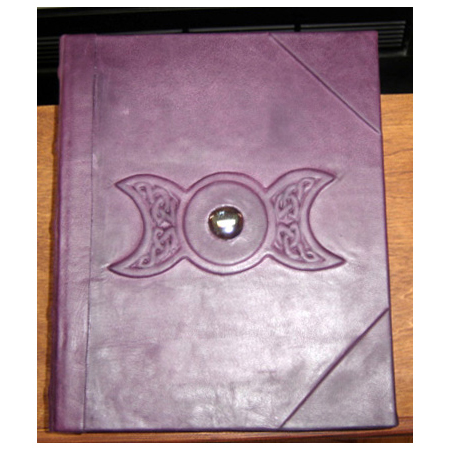 Seeing this beauty inspires LaPulia to create this Book of Shadows that represents the cycle of the moon, and created a symbol that shows it in waxing, full, and waning states. 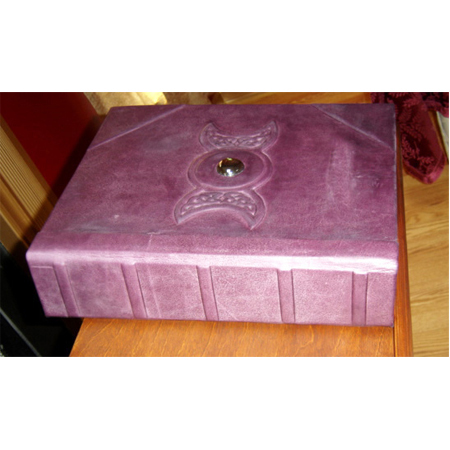 This book’s beautiful cover features a raised Celtic Moon with a beautiful Gem representing Full Moon in the middle thus making this magnificence a real treasure.